Peugeot 5008 Performance, Engine, Ride, Handling | What Car? You might be suspicious that the entry-level 129bhp 1.2-litre engine is too small to adequately power a seven-seat SUV, but it’s actually surprisingly peppy, eager to rev, and plenty responsive enough to meet most people's performance expectations. It’s available with a choice of a six-speed manual or automatic gearbox, while the more powerful 179bhp 1.6-litre petrol comes with a six-speed auto only. Although the 1.6 adds a good extra slug of oomph, the additional cost to buy and run it tips us into recommending the 1.2 as our engine of choice. A couple of diesels are also available: the 1.5-litre has 129bhp and the 2.0-litre serves up 175bhp. The 1.5 offers enough performance for everyday family use while keeping running costs low. The 175bhp engine — badged 2.0 BlueHDi 180 — is flexible and has no trouble dealing with hefty loads. With quite a lot of power being sent to the front wheels alone (four-wheel drive isn't available on the 5008) it can scrabble for grip when accelerating hard from a standstill but, once moving, feels pretty brisk for such a big family wagon. The relatively softly sprung 5008 proves itself one of the more comfortable cars in the class. As long as you avoid the bigger 19in wheels, which are optional on many models and standard on top-spec GT cars, it’s compliant over all but the roughest urban roads. It only thuds jarringly when you encounter a particularly gargantuan pothole, and is certainly far more relaxing than the ever-jiggly Nissan X-Trail. It’s true that the 5008 has a little less vertical body control over trying undulations than, say, the stiffer Skoda Kodiaq — assuming the latter is on standard suspension and not equipped with the pricey upgrade to adaptive dampers. That means the 5008’s body tends to float about more on its springs and, consequently, so do its occupants. 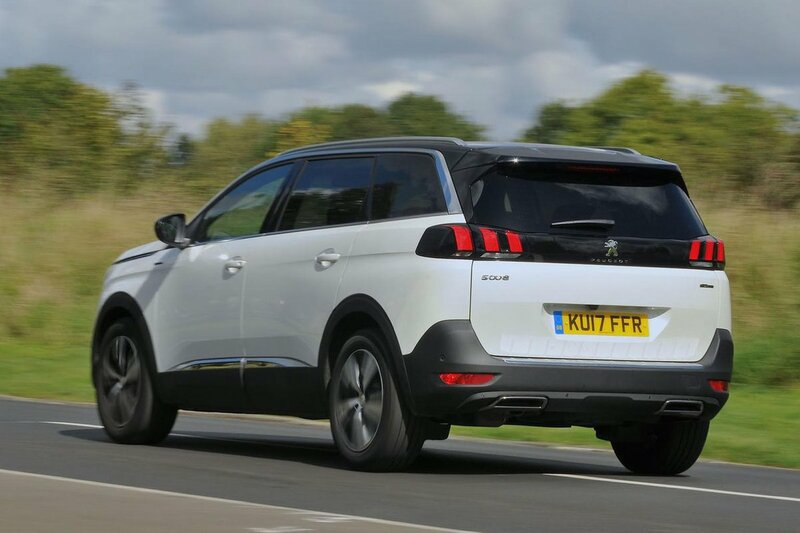 Take it on a motorway, though, and you’ll discover the 5008 loafs along at 70mph very admirably, soaking up all those ripples that the tauter Kodiaq picks up on. This makes the 5008 a very restful long-distance machine. 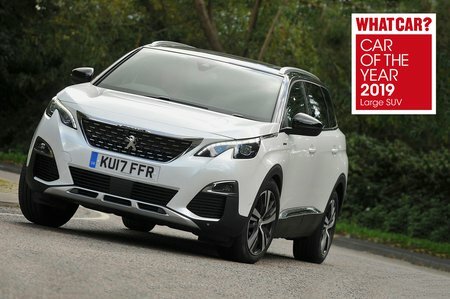 The 5008’s handling isn’t class-leading, but that's not something buyers of large SUVs tend to be especially concerned about. While it leans a little more than the Kodiaq and doesn't have quite such high levels of grip, we’re talking about small margins. The fact that, in the main, it can keep up with the Kodiaq along a challenging country road — that car being one of the sharper-handling cars in this price bracket — means it’s capable enough. That tiny steering wheel you can see in the pictures comes courtesy of Peugeot’s i-Cockpit design (more on that in the Driving Position section). It gives the 5008 a flightiness as you turn in to corners that requires some getting used to, but that doesn't take long and you soon discover reasonable steering weight and accuracy. That gives you the confidence to be able to place the car on the road instinctively. One thing to note if you live deep in the countryside or are likely to go off road: no 5008 offers four-wheel drive. Instead you can add something called Grip Control: an electronic system designed to improve traction in conjunction with mud and snow tyres and hill descent control. It lends a hand in slippery conditions but is unlikely to match the extra traction of four-wheel drive rivals such as the Kodiaq or X-Trail when the going really gets tough. At motorway speeds, the 5008 is enjoyably quiet, with less wind noise than a Kodiaq and less road roar than an X-Trail. Only when you hit a really worn, coarse section of asphalt can you hear much tyre drone. The 1.2 petrol is very smooth and the 2.0 diesel isn’t far behind. In fact, it’s one of the quietest in the class, but doesn't mutter in the hushed tones of the premium and much pricier Audi Q5. The weight of the controls lets the side down a tad, particularly on petrol models. 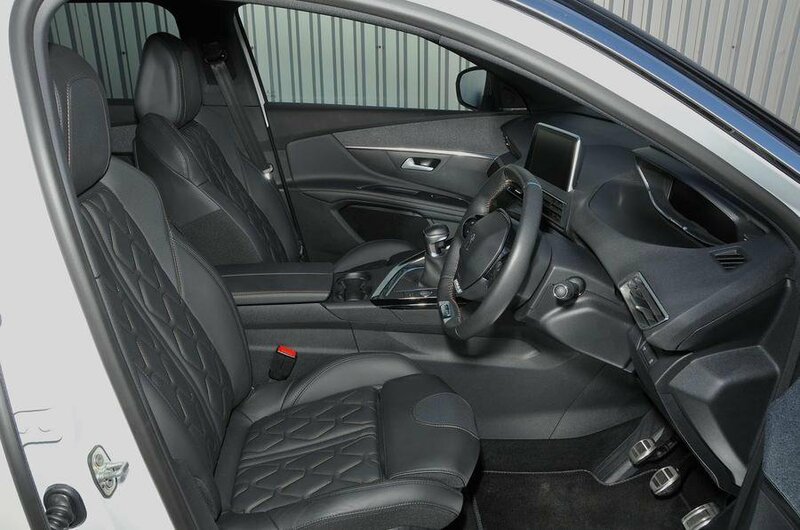 The brakes can be grabby in stop-start traffic, the clutch action feels more springy than is ideal and the shift quality of the six-speed manual gearbox leaves a little to be desired. None of these weaknesses make the 5008's drivetrains unpleasant to interact with, but they don't quite feel as classy as those of the Kodiaq. If you're not convinced by the manual gearbox there's always the option of Peugeot's smooth and responsive automatic. We implore you, though, you not to hit the Sport button. Doing so delivers an oversensitive accelerator pedal and simulated engine noise through the speaker system, which we feel rather unnecessary in a family-oriented SUV.